If you have or are thinking of getting a sprinkler system, look no furthee. 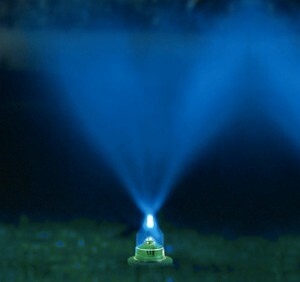 This is not only a great sprinkler but also a quite an awesome light show. It’s powered by a built in turbine that draws power for the color changing LED directly from your garden hose or water system, so no additional power equired, and it’s also only 50$, wich is surprisingly cheap for a sprinkler. Buy Carl Sagan Fan Gear Online! What if every company was as generous as Dropbox? I’d most certainly donate to this excellent blog! I guess for now i’ll settle for bookmarking and adding your RSS feed to my Google account.